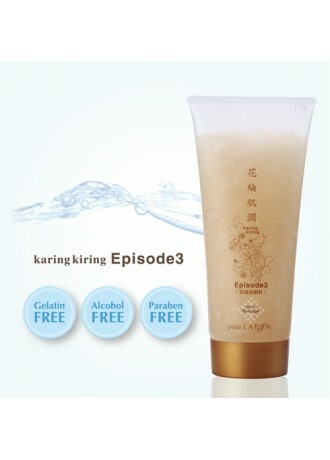 Karing Kiring Episode 3 is Moisturizer Cleansing Gel, Anti-ageing treatment which is something different from other skin care products. What outstanding features of this product are that it adopts state-of-the-art technology born in Japan, also it doesn't contain harmful and toxic cosmetic ingredients. It's Paraben Free, Alcohol Free, Gelatin Free. The new clearing with moisturizer (MCS Hydrogel) gives pure and healthy skin maintained by soft scrubs ' Mannan Sphere' and 52 herbal extracts. It's Safe, Pure, Simple ingredients. 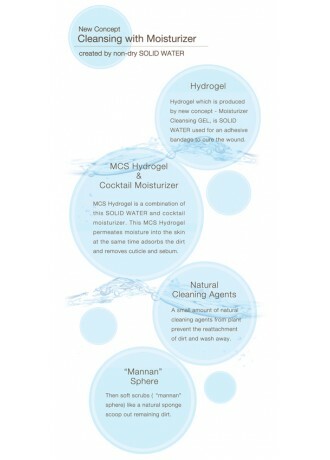 They created innovative technology to keep humidifying and permeating moisture, as well as being least irritable Cocktail moisturizer & non dry SOLID WATER – Hydrogel. 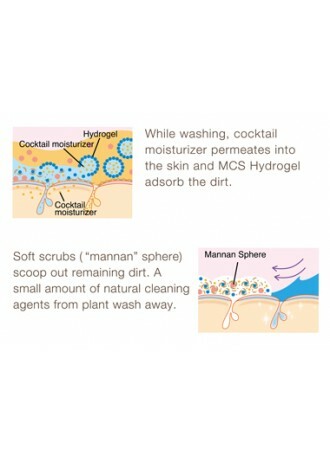 This state-of-the-art technology, MCS (Moisturizing Cocktail-Sandwiched) Hydrogel is preventing from dry and withered skin. 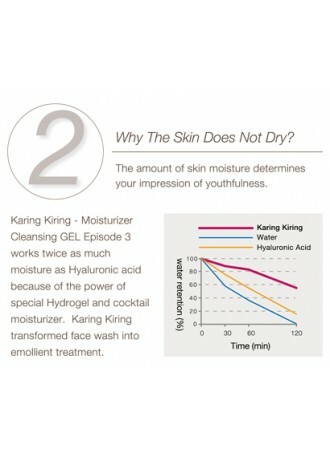 Karing Kiring has done allergy skin tests and made of moisturizing ingredient suitable for 99% people. This product is suitable for both men and women. Experience the 7 effects in 1 tube! 1) Gently lather a small amount of gel (almond size) in hands and apply to dampened face and rinse away thoroughly with warm water. 2) Please try tender massage with soft scrubs("mannan" sphere) on the roughness of the surface. Soft Scrub is made from konjac potato which is 100% natural plant material ingredient. 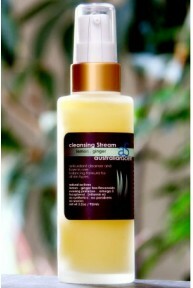 Amazing recognize enriched moisture skin even after thorough cleaning. *Each tube may last over 3 months. Special Note Attention: * Please be careful not to get mannan sphere into eyes. *Avoid using the gel around eyes, please rinse with water immediately without rubbing in the case of getting into the eyes. Please talk to an ophthalmologist if a feeling of alien substance stays. Precautions Caution *Avoid contact of scrubs with eyes *Scrubbing hard may irritate skin *Do not use products when skin is not normal condition (e.g. eczema, wound ,rash, etc) *If skin reactions such as itching, irritation and reddening occur, stop using product and consult dermatologist, immediately *Please keep it cool and keep it out of reach of infants.